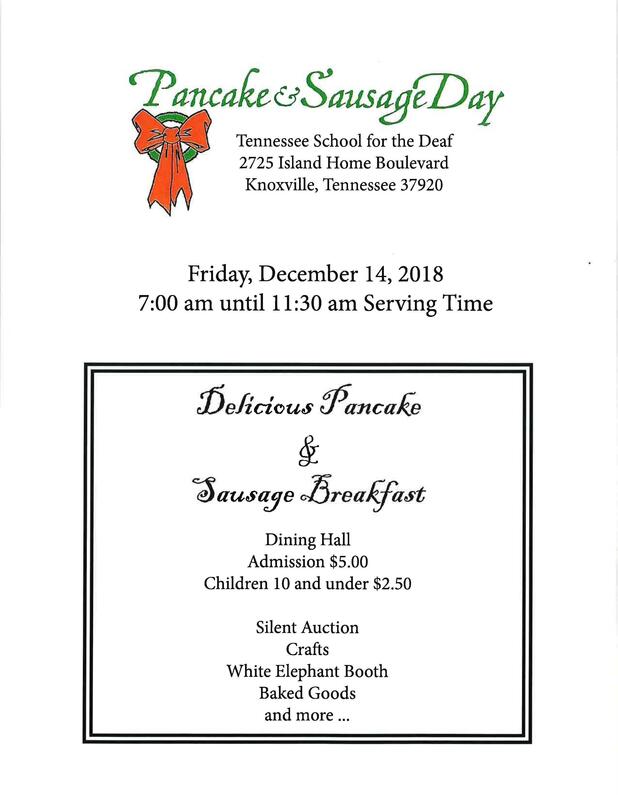 The annual Pancake & Sausage Day at TSD Knoxville will be held on Friday, December 14, 2018 from 7:00 am - 11:30 am. The annual Pancake & Sausage Day at TSD Knoxville will be held on Friday, December 14, 2018 from 7:00 am - 11:30 am in the Dining Hall. There will be a silent auction, crafts, white elephant booth, baked goods and more! Come out and support TSD!